Tired of cluttered program or event flow? We can help you with that. 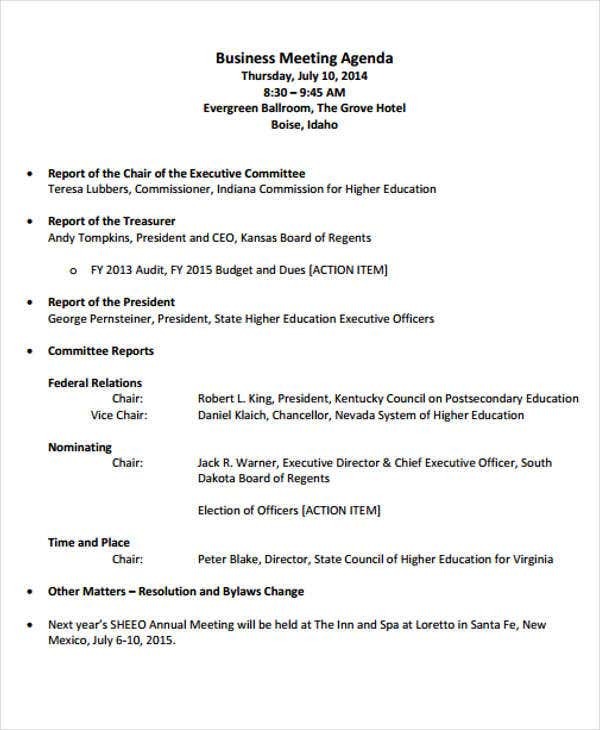 Without an agenda, an event or meeting could be disorganized. 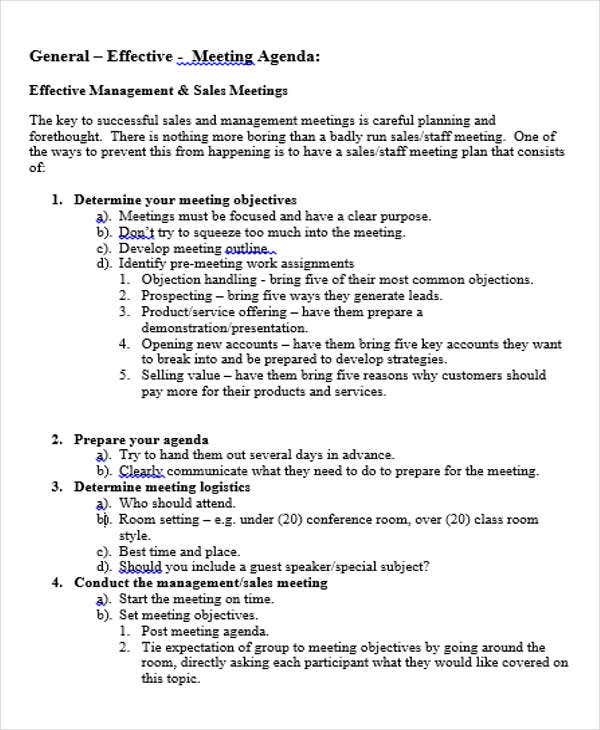 Using an effective meeting agenda can make the meeting run smoothly, productively, and can address issues effectively. It is considered as the skeletal system of every program, event, or meeting. It guides the overall flow of such. To help you with the stresses and hassles in drafting one, we have here an array of templates you can use to serve as your reference, guide, inspiration, or anything that would benefit you. 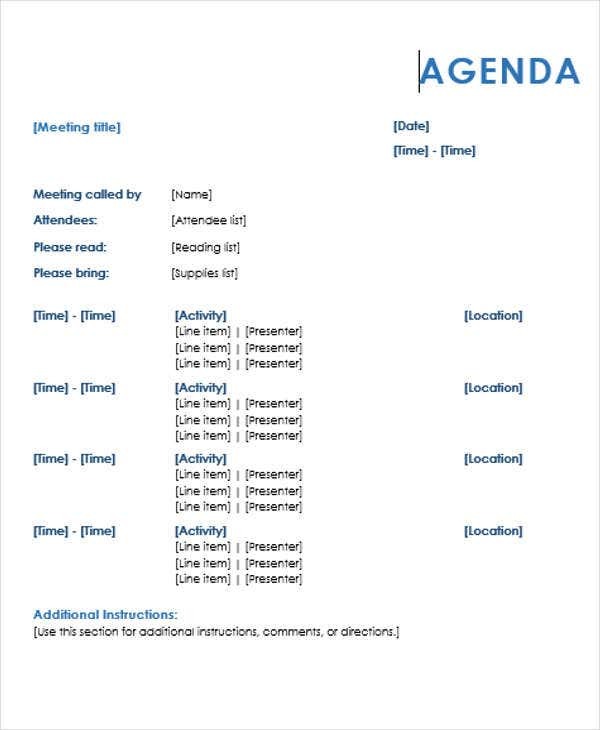 Start scrolling down and feel free to download these agenda template designs. 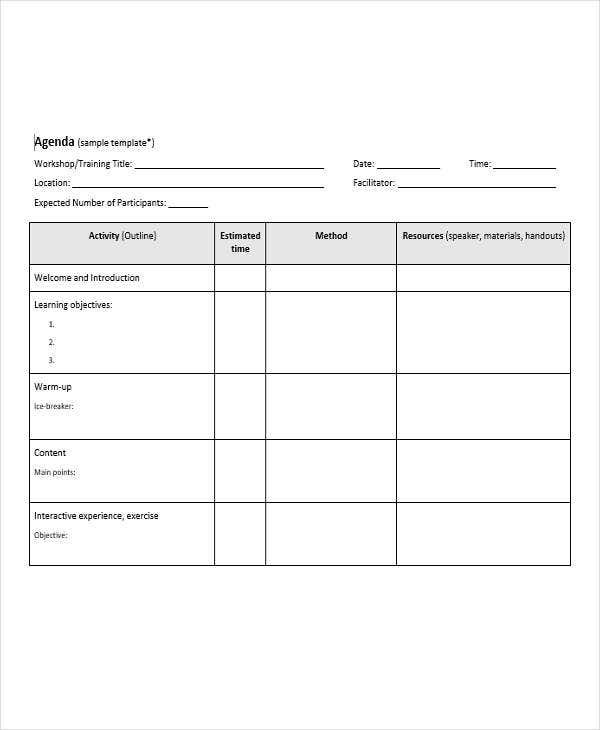 Training Agenda Template. This outline will help you in drafting your training program or agenda. It is simple yet captures the important elements of an effective agenda. It has an area designated for the activities, the estimated time, method to be applied, and the resources need. 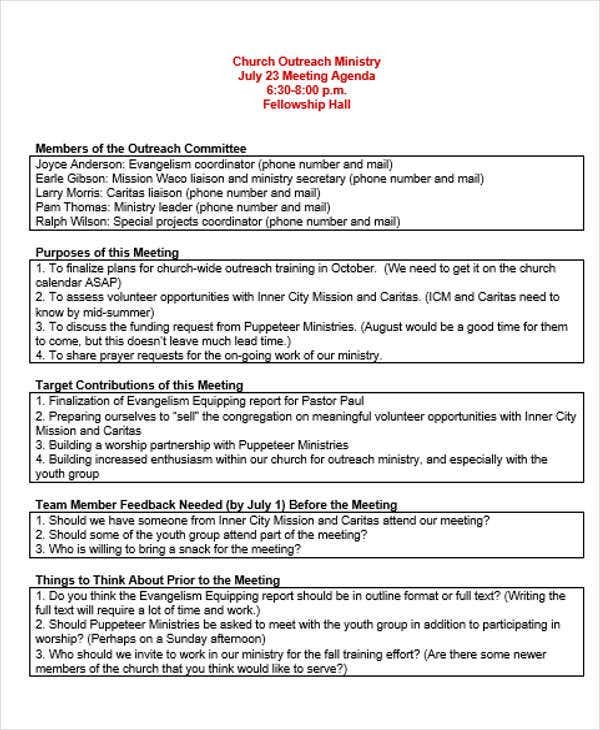 Church Meeting Agenda Template. 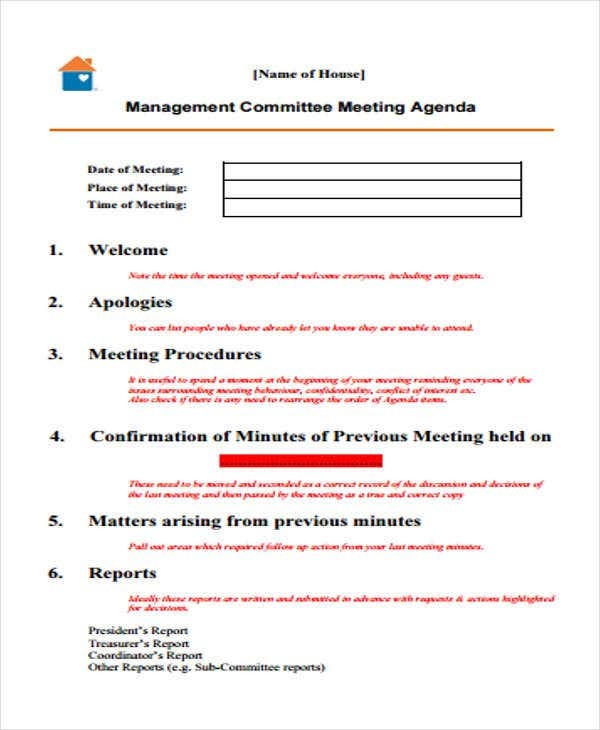 In here, the template enables you to list down the members of your outreach programs, the objectives or purpose of the meeting, target contributions of the meeting, and an area for feedback and other concerns. 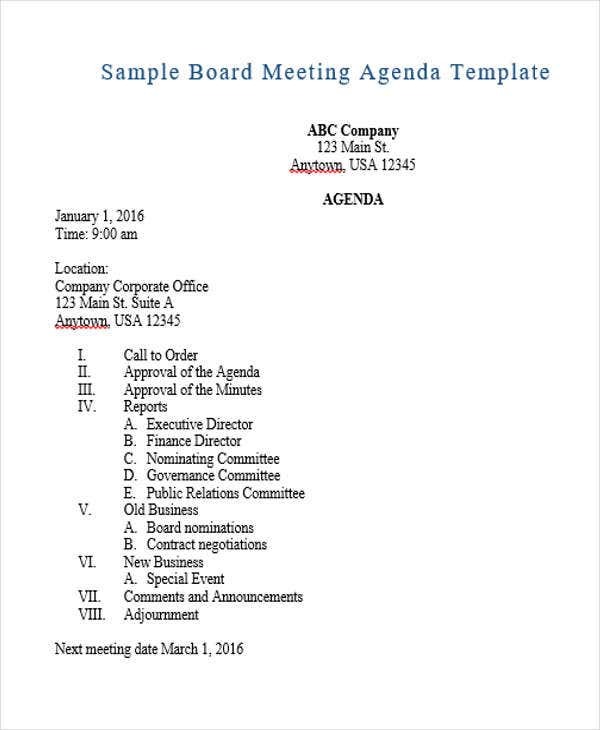 Business Agenda Template. In this particular outline, you can direct the flow of your business meeting in a precise manner. 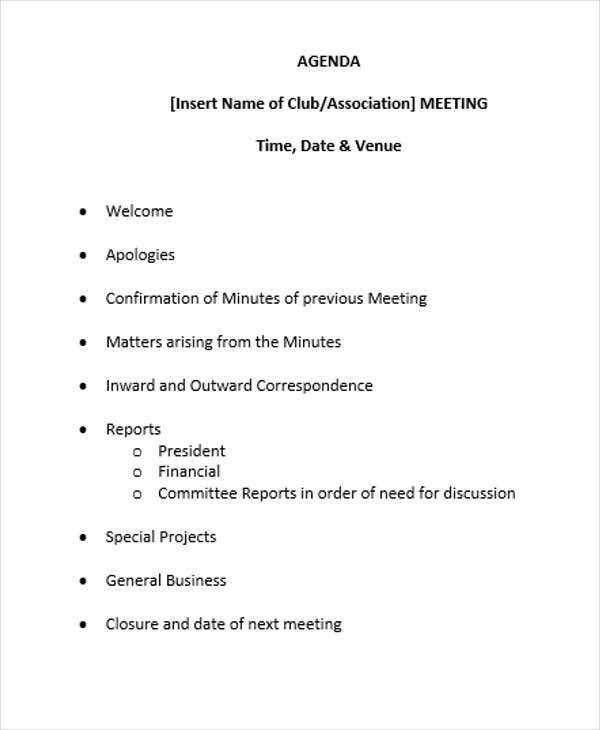 It starts off with the various committee and chair reports and ends with the discussion of other pertinent matters and concerns. These are just some of our featured templates. There are still more in store for you. 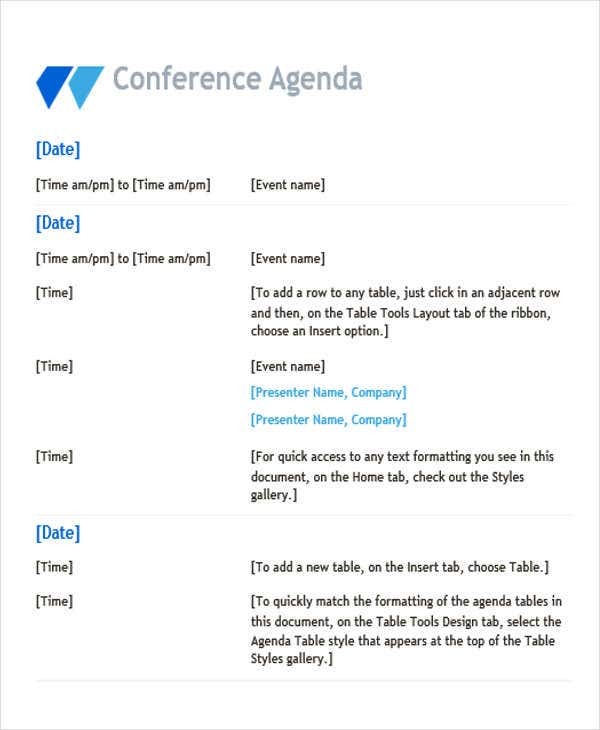 You can also check out more of our Meeting Outline Templates which are also of great quality. 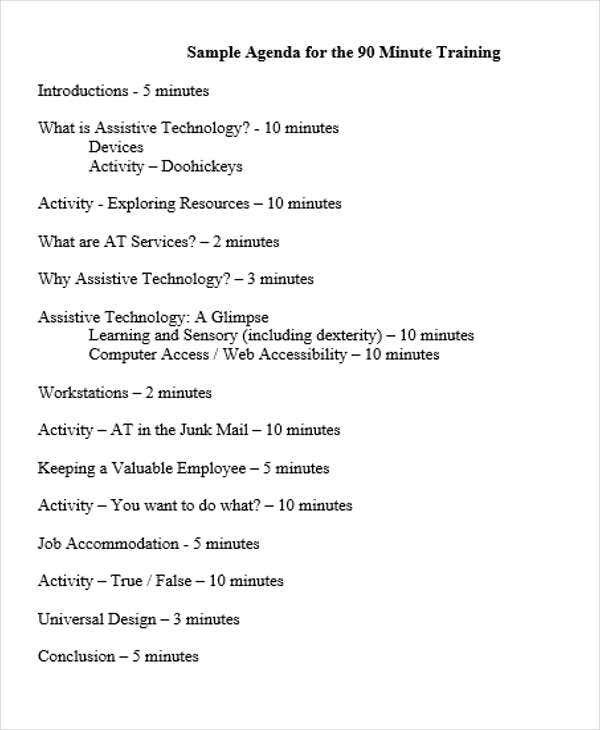 Activity or item. In here, you will list down the topics of your meeting. It is advisable that you list concrete and specific topics for it not to defeat the purpose of an outline. Allocated time. 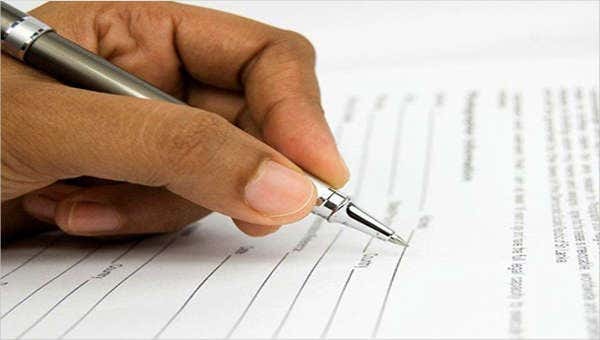 You must designate and identify the amount of time needed for a certain activity or item. It is a way of monitoring and tracking the used of time. 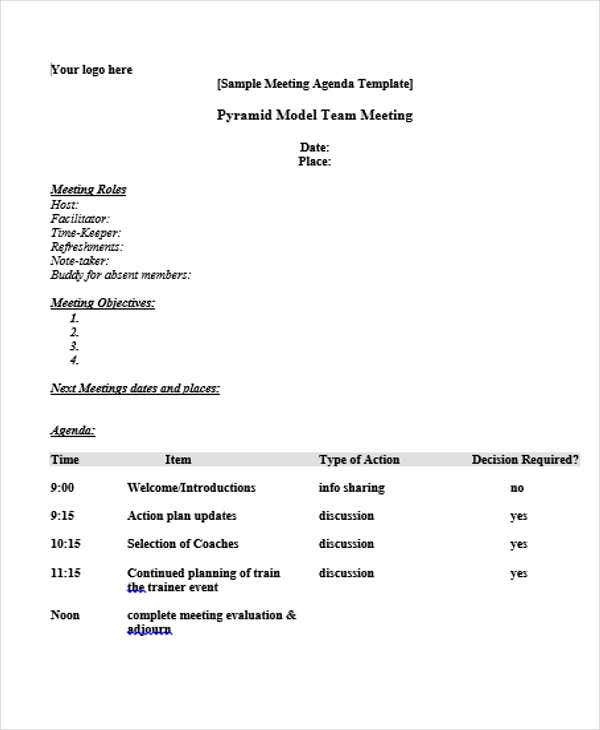 It is a manifestation of the time management benefit brought about by agenda format templates. Methods to be used. Some activities requires certain methodologies. You can also specify here what are the means and ways to be adopted for clarity purposes. Materials and resources needed. This is also crucial. Without this, the activity or item would not be realized. It is also one way of reminding yourself of the things, gadgets, and devices that you need to prepare. Aside from them, you can also check out our business agenda templates for further references and outlines.